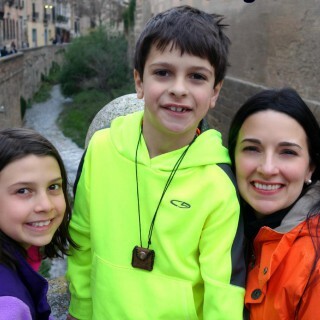 Spain is warm and Spain travel is such a fantastic place for a family vacation. Our visit was even more wonderful than we hoped it would be! Our multi- generational trip, including grandmother, aunt, parents, and two kids, was full of history, food, and experiences that helped us make memories to last a lifetime! Keep curious kids busy during the flight! Spain is a great place for family vacations and it is easy to add seeing Gibraltar and Morocco as well! We did and enjoyed the visits so much. Gibraltar – Small Country but BIG caves!